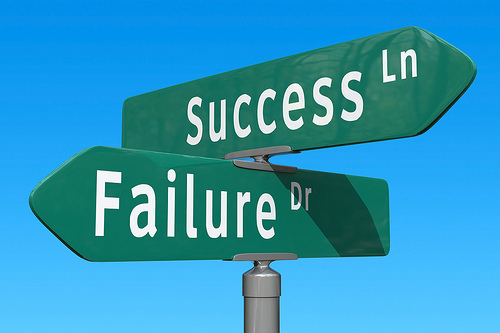 Is Success Even the Right Metric? “How can I be as successful as …. ?” This is a question, that not just my daughters ask, but many of the young people I meet. Of course, this gives rise to the question “What is success?” No two people define success the same way. While I’ve read and heard a variety of definitions, I feel, VR Ferose, the former Managing Director of SAP India said it best. Success is personal and often about yourself. To the young man who is the first in his family to have attended or graduated from college, that is a success. To the security guard at his company who’s the first, from his village, to have landed a city job that’s success. To the young woman who became the CEO of a tech firm, success is attaining that post. So doctors, engineers, lawyers, politicians all believe various things that they have achieved or seek to achieve as their success. But is success even the right metric for our lives? Does a Babajob, create new economic opportunities for those in the disorganized service sectors? Hell yeah! Does Vaatsalya enhance the quality of health care and life for folks in Tier 2 & 3 towns? Certainly. I’m sure you can think of many more. Of course, their being financially viable as a business is important to deliver the impact that they do. However, measuring or celebrating entrepreneurs and their companies as a success merely because they raised a round or their founders are cool is both limiting and unimaginative. So what is the impact you and your organization are going to have today? As a parent, it’s hard not to TELL your kids what to do. Of course there are far more times when they don’t want to hear the things I’d like to share with them. Mentoring entrepreneurs in many ways not that different from raising teens – you’ve gotta resist the urge to tell them “the answer” even when they ask for it and you’d better get used to your advice not being adhered to or at times even heard. That of course never stopped me as an entrepreneur, mentor or parent from sharing, lessons and insights that I never cease to learn. Even while urging kids or entrepreneurs to focus on impact and the journey, rather than “success” – the question of how does one get to be successful comes up all the time. Luckily better men than me have grappled with this issue and here’s a short (3.5 minute) video that answers this very question. For those that prefer to read over watching a video, however short, I have provided a short summary at the end. Work – work hard but have fun. As Richard St. John puts it, be a workafrolic and not a workaholic!